In order to make your industrial application ready for the IIoT, the first step that needs to be taken is to enhance the reliability of your network. For example, in order to improve productivity or implement mass customization in a smart factory, the decision maker must find an effective way to ensure uninterrupted data transmission. For all IIoT applications, a highly reliable network is the foundation on which success can be built. One of the most effective ways to deploy a reliable network is to utilize redundancy technologies. Read on to learn more about how one of our customers was able to build a reliable network by utilizing our advanced redundancy technologies. To enable mass customization, the customer needs data to be seamlessly transmitted from the MES to the production line. As the customer’s application requires data completeness in order to optimize production, it is not acceptable for communications to be lost for a few seconds. Therefore, the communication between IT and OT networks has to be reliable. Moxa’s redundancy technologies are designed to protect networks against transmission failures. Turbo Ring and Turbo Chain provide an efficient way to build a reliable and flexible network to ensure high availability and support unlimited redundant network expansion. For some applications, reliable data transmission is not enough to ensure the application keeps functioning. The most important thing is to ensure that some types of data can be sent via the multicast stream and are guaranteed to arrive in the correct place. There are many applications that transmit data via multicast streams such as PLCs in smart factories. It is important that the different PLCs that communicate with each other along the production line transmit data seamlessly in order to ensure the overall equipment effectiveness is maintained. If the PLC does not receive a response within 100 ms, the system will automatically shut down in order to avoid any damage to the production line. To ensure high levels of productivity, Moxa’s V-ON technology supports millisecond-level fast recovery to ensure network reliability and keep the PLC functioning normally. With network redundancy technologies such as Turbo Ring, Turbo Chain, or V-ON, Moxa can ensure reliable data transmissions and ensure the application keeps functioning. However, there are certain situations when redundancy technologies alone do not suffice. For example, a device could lose power or a cable malfunctions. When one of these situations occur, network operators can utilize Moxa’s graphical network management tool on MXview or MXview ToGo to know immediately what the problem is and take the required steps to fix it. One of the largest home appliance manufacturers in China implemented the IIoT concept in a smart factory. Implementing this concept was a win-win situation as it was financially beneficial to the factory and their customers were happy with their enhanced solution. The factory was able to provide a mass customization service to their customer, optimize production, and deliver the products quicker. In order to achieve all of this optimization, a highly reliable network infrastructure was essential, which is why the factory decided to use Moxa's redundancy technologies and easy-to-use management tool. Click the button below to discover how Moxa assisted the manufacturer achieve their goal. Moxa is a solution provider with over 30 years experience across different industrial applications. Read the three application notes below to discover how Moxa’s redundancy technologies help our customer ensure their networks have high availability. Within the mining industry, vibration and electromagnetic interference often disrupt networks. When critical data can not be delivered on time, the PLC stops operating to avoid any damage. This results in the system crashing and for the business to incur financial losses. Download the application note to learn how Moxa built a reliable network to avoid system downtime. For cranes, downtime can result in huge financial losses and can seriously compromise safety. A crane manufacturer integrated Moxa’s redundant wireless solutions into their heavy lift mast cranes to ensure operational uptime was maximized for offshore wind turbine installation. Download the application note to find out more about the solution. For this deployment on a tramway, the network hosted multiple services incorporating over 10 different systems and 40 VLANs. 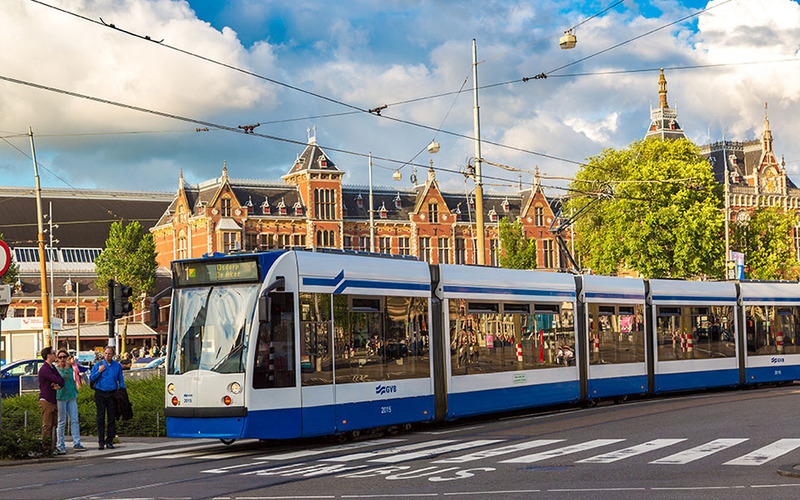 Download the application note to learn how Moxa connected tram stations with the control center across layer 2 and 3 networks. 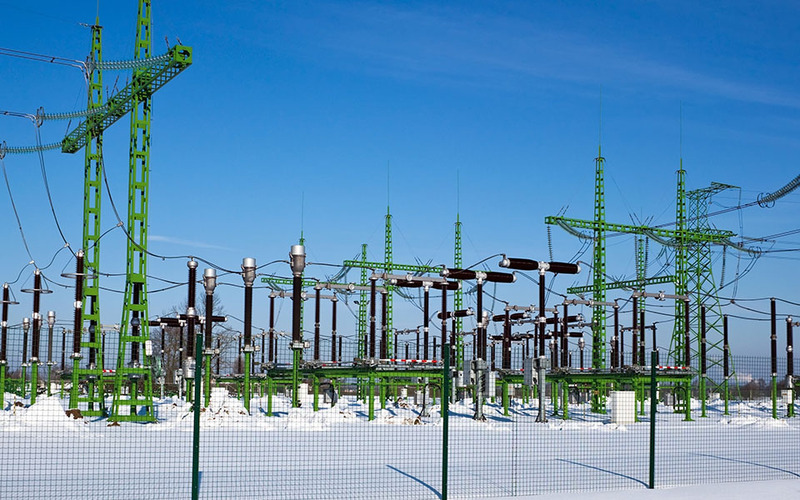 Critical applications such as power stations require zero packet loss. Click on the PRP/HSR logo to learn more about these technologies. For critical applications such as power stations, networks must be able to recover in less than 10 ms. If the network cannot recover within 10 ms, the system will shut down to prevent negatively impacting system operations. Therefore, operators should select a technology that supports zero packet loss to ensure their networks can recover within 10 ms. In addition to power stations, there are some applications emerging within the IIoT trend, such as smart factories, that require seamless data transmission to ensure that production lines remain operational. One of the most popular ways to achieve seamless data transmission is through technologies that guarantee zero packet loss. Parallel Redundancy Protocol (PRP) and High-Availability Seamless Redundancy (HSR) were designed to guarantee zero network downtime. By utilizing products that adhere to these standards, users will not experience any unexpected interruptions to their networks. However, in order to optimize network performance, users also need to consider several other factors, including the specifications of their devices and the amount of traffic being transmitted across the network. A simple network can be used for an application such as a crane. If you require more details about any of our technologies, please click on one of the logos below. A simple network might be used for the production line of a smart factory, a surveillance system at an intersection, or a machine-handling operation at a harbor. This system or network is usually for an industrial-grade application. Moxa’s redundancy technologies ensure industrial-grade applications avoid disruption to their networks. Our Turbo Ring technology supports network recovery times within 20 ms* for up to 250 nodes and our Turbo Chain technology ensures that networks still have redundancy even when they expand. AeroLink Protection provides protection for wireless networks and V-ON provides protection for PLC and surveillance applications that use multicast protocols. A tramway requires a complex network in order to operate. There are ticketing offices, IP CCTV cameras, and PA systems at multiple stations. If you require more details about any of our technologies, please click on one of the logos below. Multiservice networks encompass networks that were each designed for a different purpose, but are now interconnected together. For example, within the rail industry, each network must be able to communicate between several different subnetworks and systems including a centralized control center, rail stations, and a railway signaling system. By deploying Moxa’s redundancy technologies on small networks, we can guarantee the network will recover automatically within milliseconds. Any wired transmissions across the system will be protected by Turbo Ring and Turbo Chain, and any wireless transmissions will be protected by AeroLink Protection to ensure downtime does not adversely influence network operations. However, Turbo Ring, Turbo Chain, and AeroLink Protection are not sufficient to guarantee network redundancy when deploying a large or complex network. In order to ensure fast network recovery on multiservice networks, Moxa’s V-ON technology, a network redundancy solution for complex networks, ensures that communications between different systems remains smooth. In order to avoid system downtime, industrial applications can only tolerate interruptions to the system for a short period of time, which is known as the grace time. Based on the IEC 62439 industrial communication network standard, network recovery times must be shorter than the grace time, as applications need to perform additional tasks before they can start functioning normally again. For industrial networks that host mission-critical applications, such as power plants, networks must be able to recover within 20 ms. To learn more, choose the answer to the question below that matches the recovery times that are required by your industrial application. What Is an Acceptable Recovery Time for Your Industrial Application? In addition to recovery times, the scale of the network is another key aspect that has to be considered when building networks. Traditional redundancy technologies can only guarantee recovery on small-scale networks. However, Moxa’s redundancy solutions do not have this limitation and can ensure network reliability from each node to across the entire system. To learn more, choose the answer to the question below that matches the recovery times that are required by your industrial applications. What Type of Network Does Your Industrial Application Use? Small scale networks or only serving a single application. Large-scale networks that often contain multiple applications. Choosing the right network redundancy technology to form part of your total network solution will help you maximize network uptime. 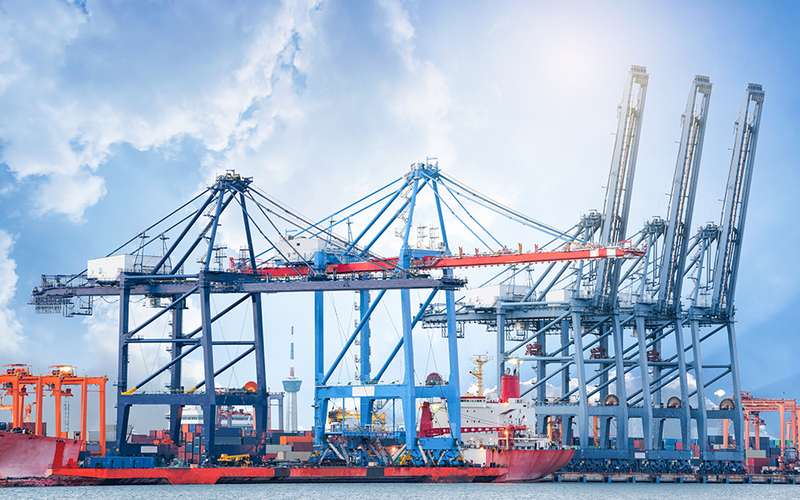 In addition, a secure and reliable network solution is required to optimize your network for IIoT data connections. Visit our IIoT theme site to learn more.